Gamma in left field, SMHB in Exergue. left arm behind him, shield on ground at right. 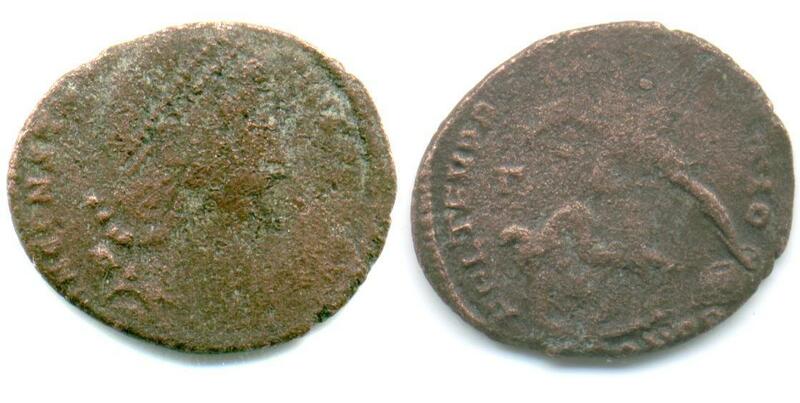 Minted at the 2nd officina in Heraclea (Marmara Ereglisi, Turkey) in 351 or 352 A.D.